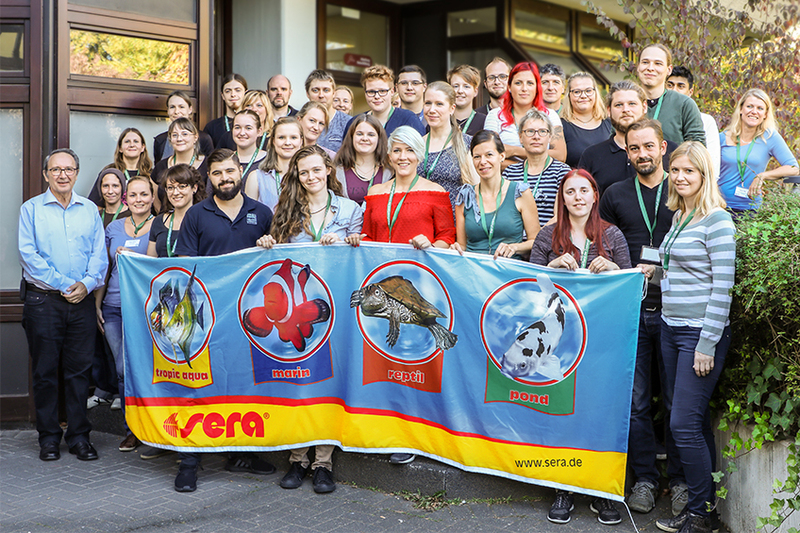 sera supported the recent meeting of aquarists by the Berufsverband Deutscher Zootierpfleger e.V. (BdZ) on October 13, 2018 in the Aquazoo Löbbecke Museum Düsseldorf with a workshop dealing with "Ornamental fish diseases". Over 40 zoo animal keepers from all over Germany came to the Aquazoo, which was re-opened about a year ago, for receiving further education, useful information and advice, and for exchanging experience. The extensive program offered exciting reports from different zoos, a lecture about the topic "Significance of aquarium care among zoo visitors" and a discussion gathering about the "Apprenticeship target aquarium care". sera was asked for support by holding a workshop also in this year. 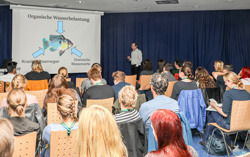 Since the topic “Ornamental fish nutrition” was already dealt with at the last aquarist meeting, Dieter Untergasser this time lectured about diseases of ornamental fish. The first, theoretical, part of the workshop included the symptoms and treatment possibilities of the most common ornamental fish diseases. The zoo animal keepers could put this knowledge into practice during the second part of the workshop. Under the guidance of Mr. Untergasser, the participants took mucous membrane samples of ornamental fish for having them examined afterwards. This approach allows diagnosing an ornamental fish disease specifically and choosing a treatment method based on the results. The next aquarist meeting will probably take place in the autumn of 2020.